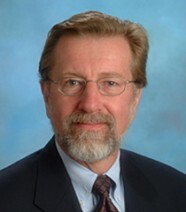 Leonard Greenhalgh is professor of management at the Tuck School of Business at Dartmouth, where he has taught since 1978. He is also the Director of programs for Minority- and Women-Owned Businesses, as well as, Native American Businesses. He teaches an MBA elective course in Managing Strategic Business Relationships. His research interests include changing workforce demographics, supply chain management, negotiation, top management team effectiveness, and managing strategic alliances.